Belmont NC’s Best Dent Doctors! If you have been looking for “mobile dent repair near me” in Belmont, NC the staff at Piedmont Dent repair has you covered. Our company provides comprehensive support for dent repairs throughout the greater Belmont area. We work with a repair technique called paintless dent removal. Using this method, we can perform restore your vehicle’s body to its original condition in a fast, efficient process, where there is zero need to hold on to your vehicle for several days. In most cases with bodywork after a minor accident, you may be without your vehicle as it’s in the shop getting repainted. With paintless dent removal, we can take advantage of a minor dent that still has most of the paint left in the area. By using our unique method to remove the dent without having to repaint, we can speed up the process of your repair service and make it affordable as well. 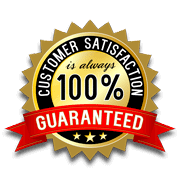 Our paintless dent removal service also comes with a 100% satisfaction guarantee. If we are unable to repair any dents to your satisfaction, we can attempt to re-repair them at no extra cost to you. If, for some reason, we are unable to complete the repair, we will gladly refund you your money. Paintless dent removal can be the perfect option if you require hail damage repair or if there is a need for auto repairs after a minor accident. We can even perform our service at your location, thanks to our completely mobile unit. We can come to you and assess the damage as well as make sure you can have your vehicle back within a day! As long as the majority of the paint remains in the area surrounding the dent, you will be the perfect candidate for paintless dent removal services. 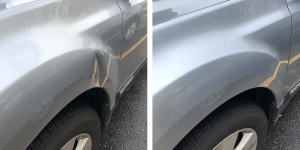 Contact us immediately, and we can come out to your location to see if the dent you have experienced could be best repaired using this method. At Piedmont Dent Repair in Belmont, NC we are your number one choice for paintless dent removal. We can help you preserve the value of your vehicle today. Contact us and we will complete a quote for your necessary bodywork. View all of our services here.